AZN combines the magic of Asia's kitchens with an elevated flair to please today's sophisticated diner. Taste the Orient with flavors from China, Thailand, Korea, Hong Kong and Japan. 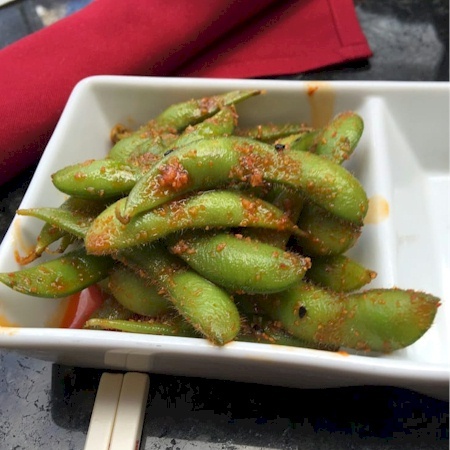 Soybeans in choice of sea salt ~ or Sambal (chili sesame oil) ~ or garlic, citrus ginger. Tempura shrimp, cream cheese, avocado with krabstick, sesame seed, spicy mayo and eel sauce. 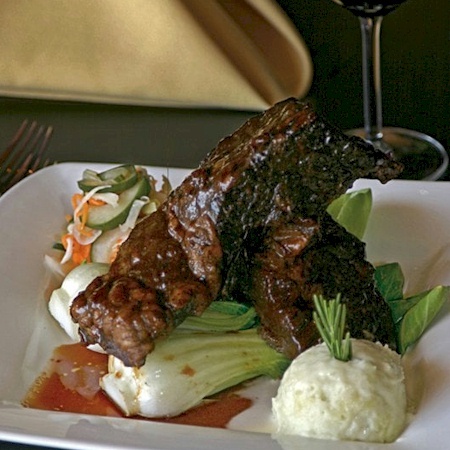 Tender short ribs Korean style, mashed potatoes and vegetables. 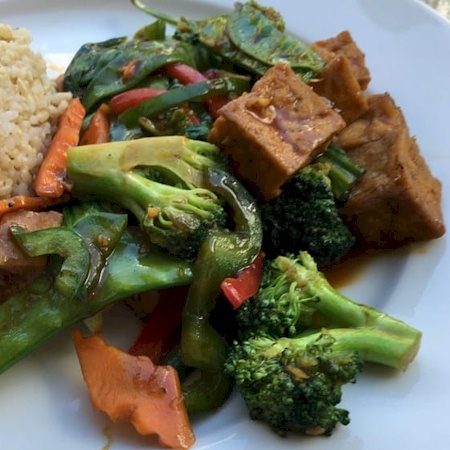 Sautéed mixed vegetables, Thai basil and a light soy garlic sauce with fried tofu. 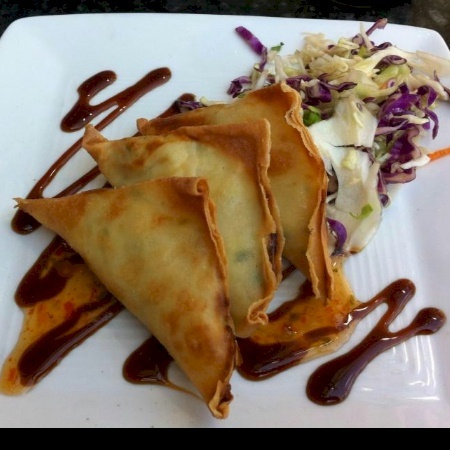 Luscious blue crab meat, chopped shrimp & cream cheese in crispy dumpling skins. 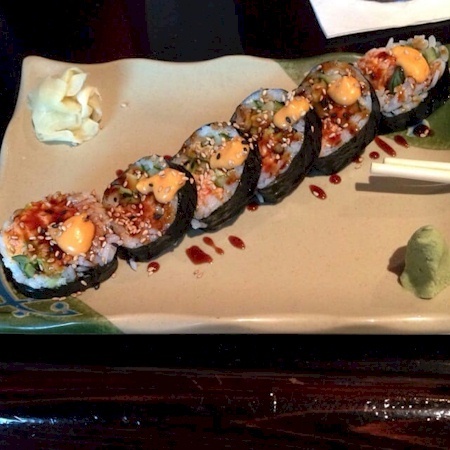 Spicy tuna, tempura flakes, firecracker mix (krabstick, avocado and spicy mayo), and jalapeño. 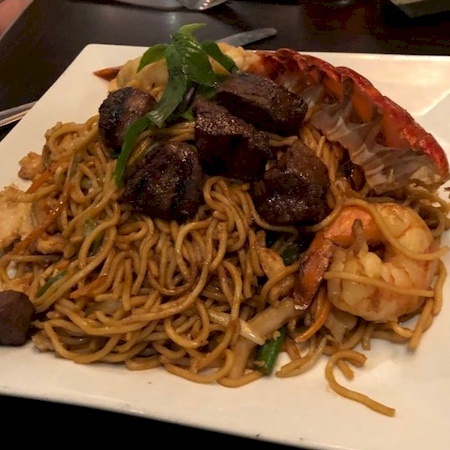 Filet mignon, lobster tail, jumbo shrimp and breast of chicken wok tossed with vegetables and Chinese egg noodles. Fried spring rolls with ground chicken, vegetables & Sweet Chili dipping sauce. Medallions of chicken thigh meat, broccoli, Szechuan peppers, sweet garlic chili sauce. Two double bone Lollipop Lamb Chops, finished with a creamy blue cheese sauce. Crispy wok-fried, tossed in a sweet garlic chili sauce. Crispy fried shrimp, spicy red dragon sauce and lime aioli. 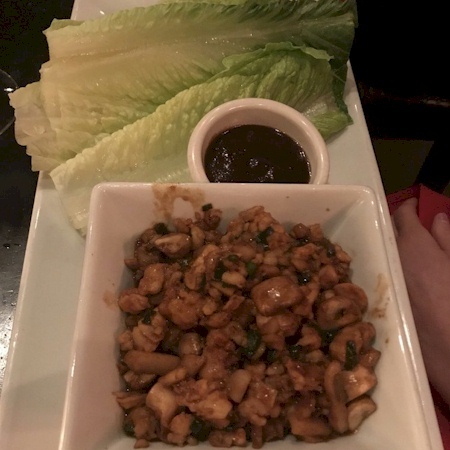 Chicken, water chestnuts, mushrooms, lettuce cups, crispy noodles, hoisin sauce. 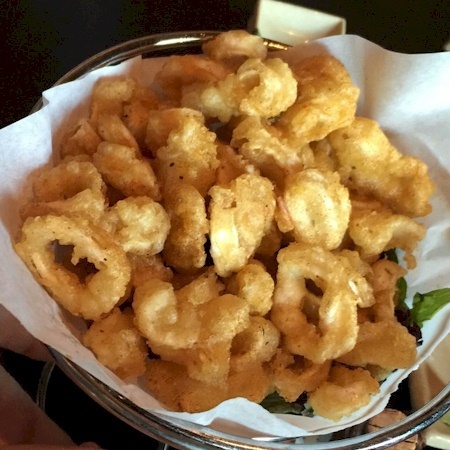 Tempura fried tender calamari rings, Asian spices and spicy aioli. White meat chicken skewers marinated in curry & grilled / Indonesian peanut sauce. Ten tempura fried shrimp served with dipping sauce. Grilled Sashimi grade tuna served rare, sliced thin over a cucumber salad & Ponzu sauce. 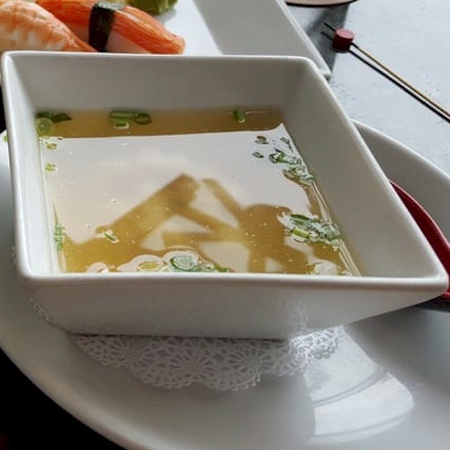 Served with traditional soy ginger sauce. 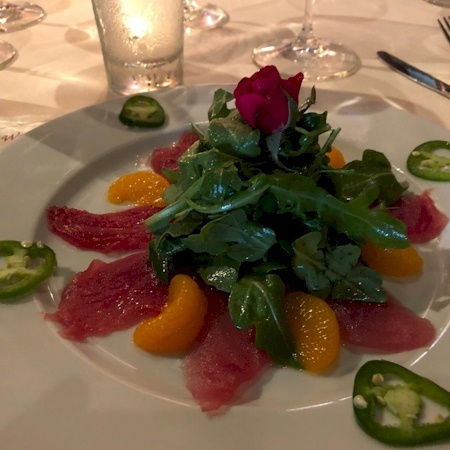 Honey Ginger Vinaigrette with jalapeno and mandarin orange. Fresh, raw tuna cubes, avocado, seaweed salad, pineapple and Ponzu sauce, topped with tobiko. 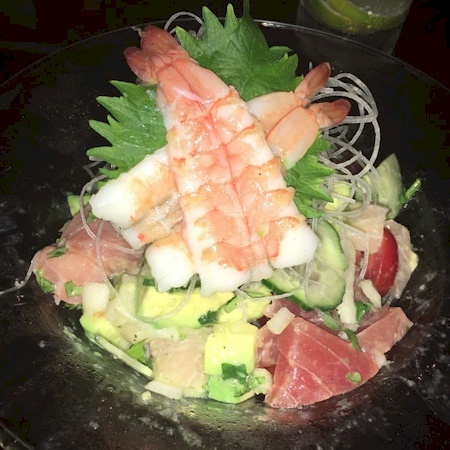 Sashimi grade tuna, salmon, escolar, octopus, steamed shrimp, yellow tail, onion, cucumber, avocado, tomato and cilantro tossed in Chef’s special Japanese citrus dressing. Fresh seaweed salad with sesame seed & sesame oil. 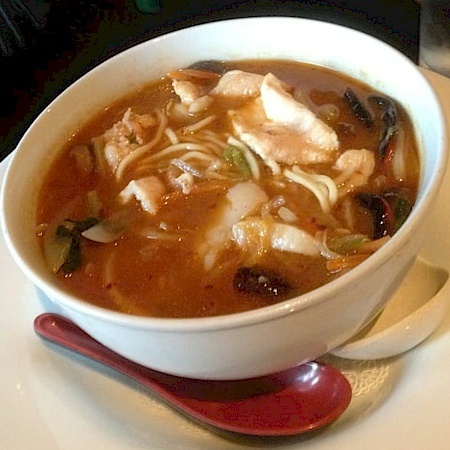 Shrimp, diver scallops, chicken and vegetables in a hearty, spicy soup with egg noodles. 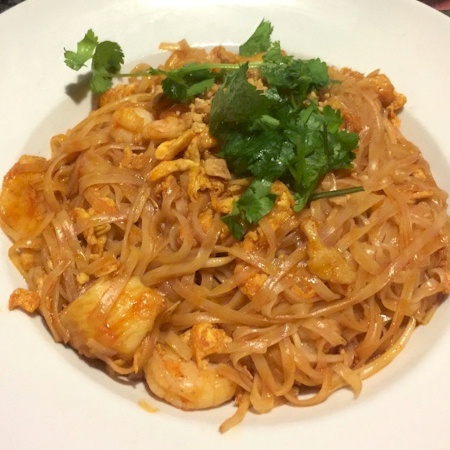 Flat rice noodles tossed with egg, shrimp, diver scallops, bean sprouts and peanuts. Shrimp, diver scallops and chicken stir-fried with soy garlic sauce over crispy noodles. 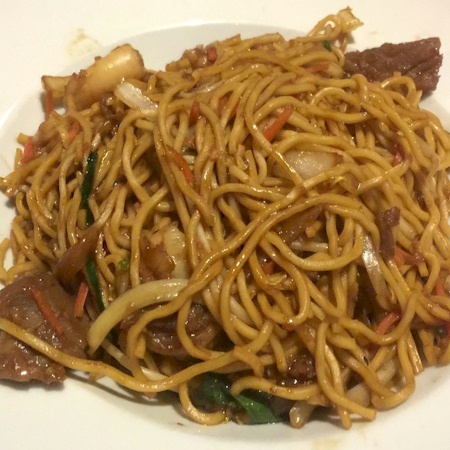 Wok sautéed shrimp, beef, chicken and vegetables with Chinese egg noodles. 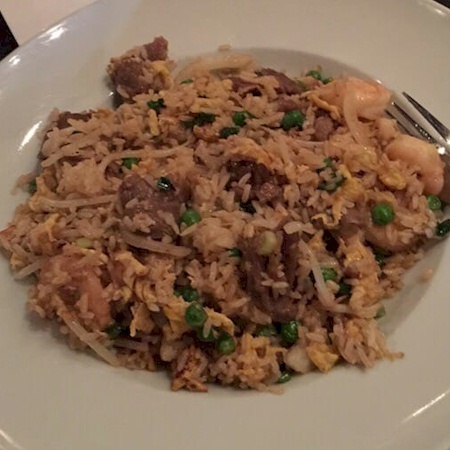 Chicken, beef, shrimp, onion, bean sprouts, carrots, and peas. 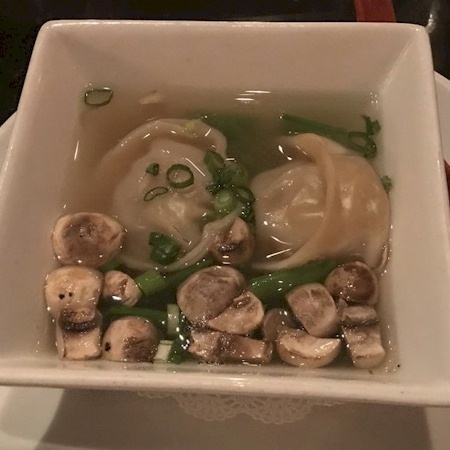 Low Carb, healthy selection. White onion, red and green peppers, green beans, chicken, beef and shrimp. 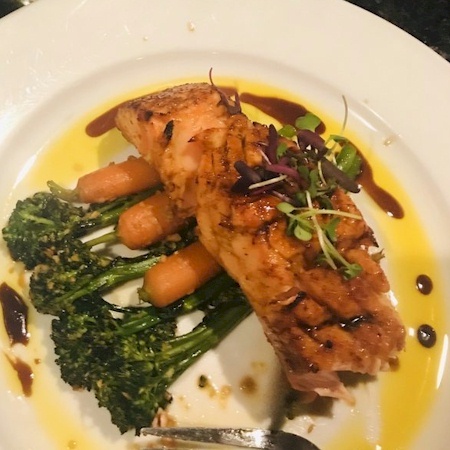 Peanut encrusted Mahi-Mahi, finished with a citrus butter and jumbo Shrimp garnish. Pan seared topped with crab meat and shaved asparagus, with citrus butter, rice and vegetable. 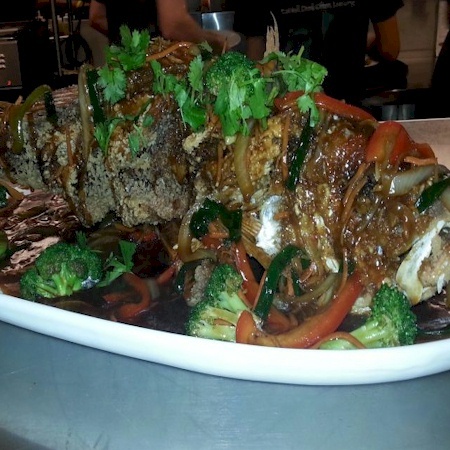 “Our House Specialty” - fresh whole fish creatively prepared with an Asian flair. 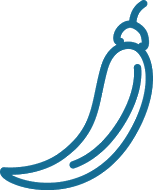 This is a market price item - final price charged may differ from price listed. 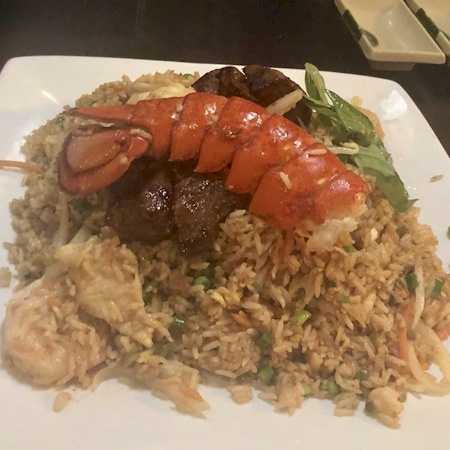 Filet mignon, lobster Tail, jumbo shrimp and breast of chicken wok tossed with vegetables, egg and fried rice. 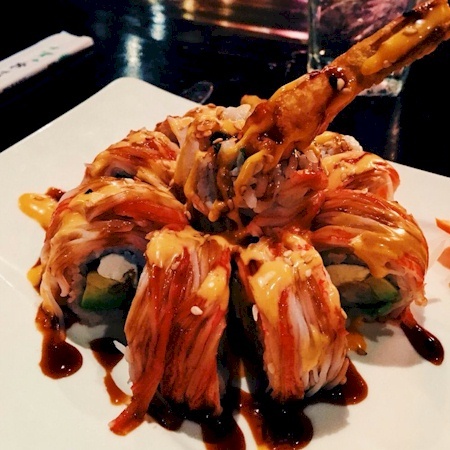 Tempura lobster tail, snow crab, avocado and asparagus, topped with spicy tuna and firecracker mix with a spicy Thai peanut sauce and eel sauce. Panang curry smoothed with coconut milk, wok-tossed with mixed vegetables. 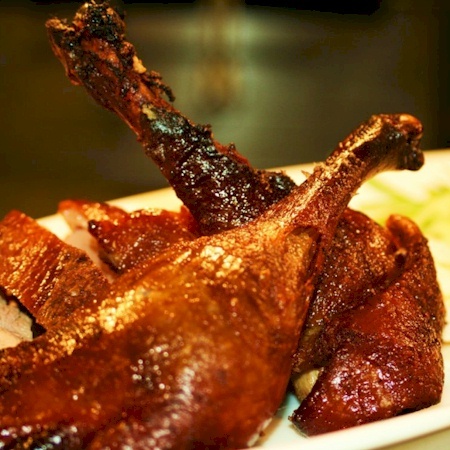 Half duck marinated for four days, roasted, cucumber and Ume sauce. Add a Lobster Oscar Tail to any entrée for an additional charge. Full rack of oven roasted baby back ribs, Asian BBQ sauce, Asian slaw. Flank steak, Asian spices and mushrooms, topped with crushed peanuts and jicama. Two 4 oz. pan-seared beef tournedos, garden vegetable and mashed potatoes. 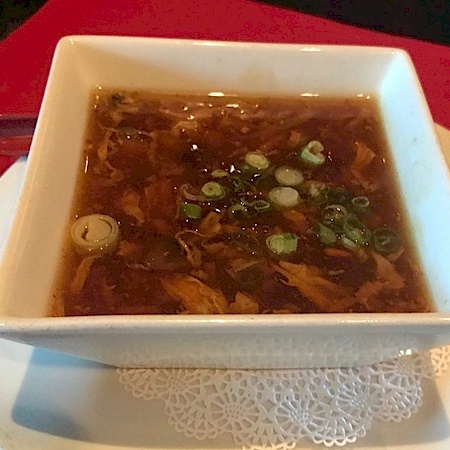 Served with choice of Black Pepper Sauce, Wasabi/Blue Cheese, or Oscar Style (lump blue crab meat). Three 4 oz. pan-seared beef tournedos with the Trilogy of preparations. 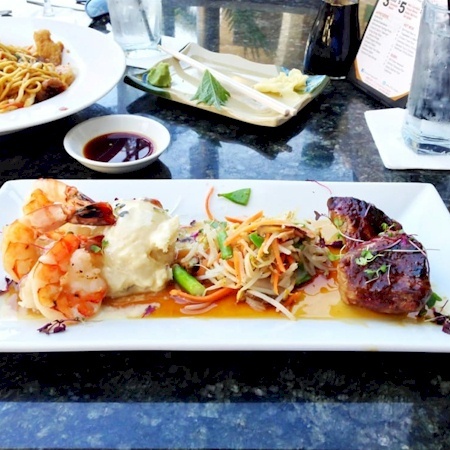 Filet medallions seared with a teriyaki glaze, broiled lobster tail topped with ginger scallion and garlic butter sauce, mashed potatoes and vegetable. 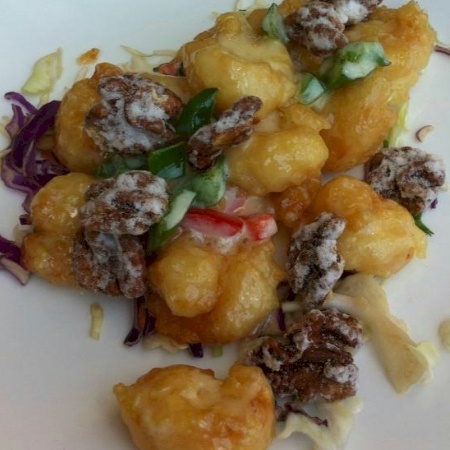 Crispy large shrimp wok-tossed in a honey-lemon aioli sauce with candied walnuts. 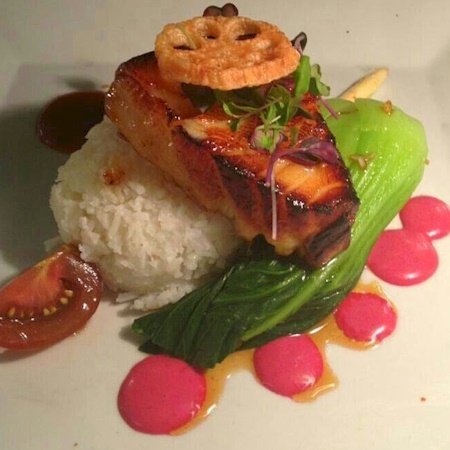 Chilean sea bass baked, vegetable, steamed rice, misoyaki glacé and red beet vinaigrette. Scottish salmon with vegetable, curry oil, sweet soy and steamed rice. Sushi grade tuna seared rare with seaweed sesame crust and Thai basil citrette. Jumbo shrimp, diver scallops. lemongrass, ginger, garlic, carrots, onions, kaffir lime, cilantro and bell peppers in a spicy red curry and coconut reduction sauce. 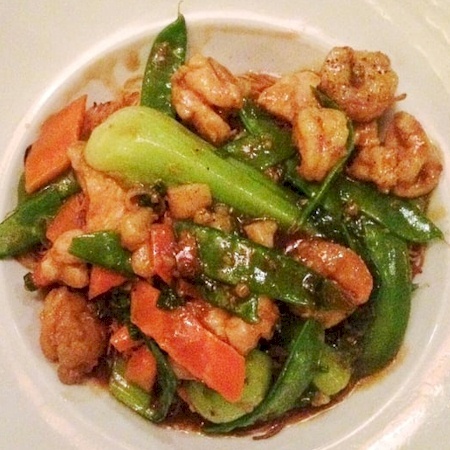 Wok fried with string beans and Szechuan peppers in a fiery garlic sauce. As is, or with your choice of chicken, beef or shrimp. 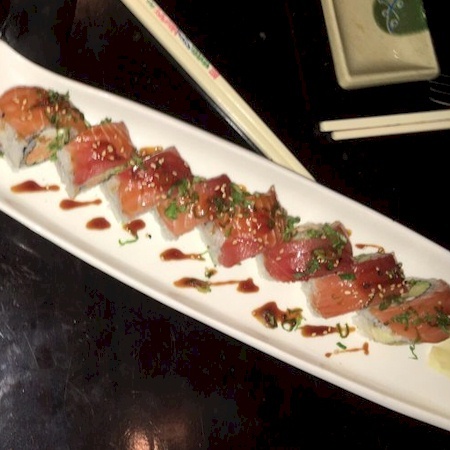 8 pieces per order • Big roll 5-6 pieces per order • For an additional charge rolls can be made as hand roll, or with soy wrapper, or substitute brown rice. Lump crab, tuna, cucumber, avocado topped with sesame seeds and red tobiko. Inside: Panko crusted grouper, avocado and house pickle. Outside: Tuna and yellowtail. Sauce: Lime aioli and misoyaki glaze. Inside: Snow crab, panko shrimp, firecracker, tempura asparagus and Cucumber. Outside: Colossal lump crab and spicy tuna. Sauces: Spicy mayo, eel and Sriracha. 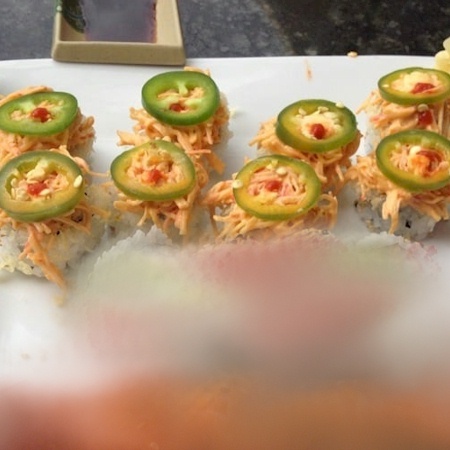 Lobster in dynamite sauce and asparagus inside, topped with tuna, Sriracha sauce and sesame seeds. 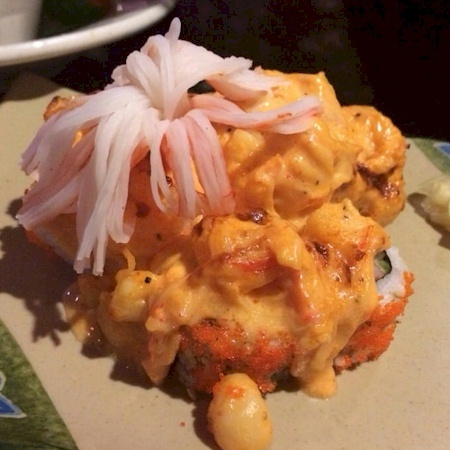 California roll topped volcano mix (krabstick, scallop, shrimp and spicy mayo) baked. Lump crab, tuna and cucumber topped with beef filet carpaccio and black sea salt. 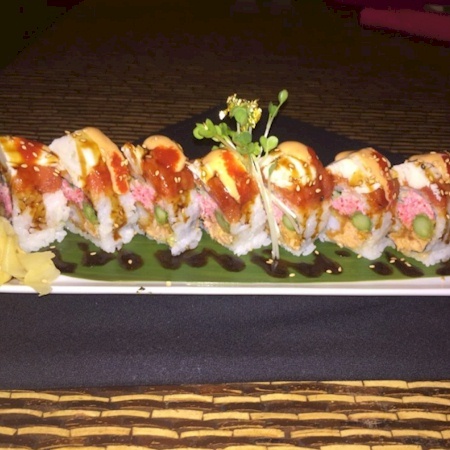 Spicy lobster, lump crab, scallions, cucumber and avocado with tuna, salmon, Sriracha and eel sauce. 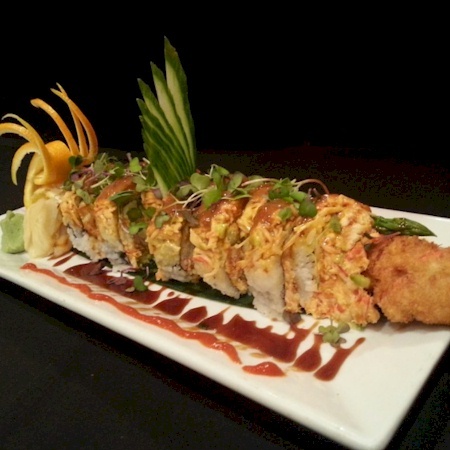 Dynamite Lobster with avocado, cucumber, asparagus, spicy mayo and eel sauce (6 pc.BIG ROLL). Shrimp tempura, cucumber, avocado, firecracker mix topped with scallions, eel sashimi, sesame seeds, eel sauce and devil sauce. Lump blue crab meat, cucumber, avocado inside. Rice, sesame seeds, red tobiko outside. Chef’s choice six pieces of freshest sashimi, five pieces of nigiri sushi, and one California roll. 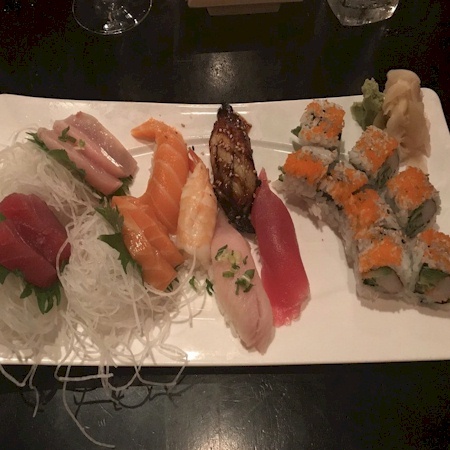 9 pieces of sashimi (tuna, salmon, yellow tail). 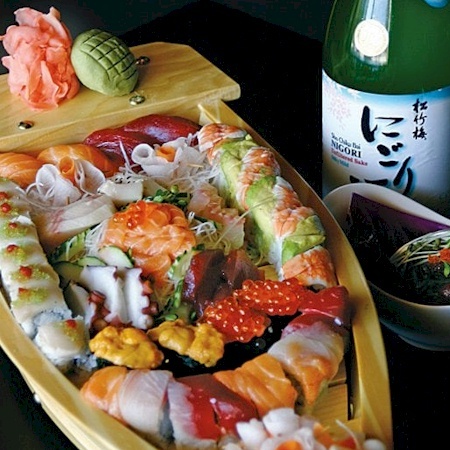 Chef’s choice of the freshest sashimi, sushi and rolls.